Earlier this year, we hosted a post about ‘One page profiles and EHC plans the Wiki way’. It's been very popular and I know that some local authorities have been following it up as a better way to present a 'living' EHCP. It's online so easy to update and the young person and family have ownership of who sees it. 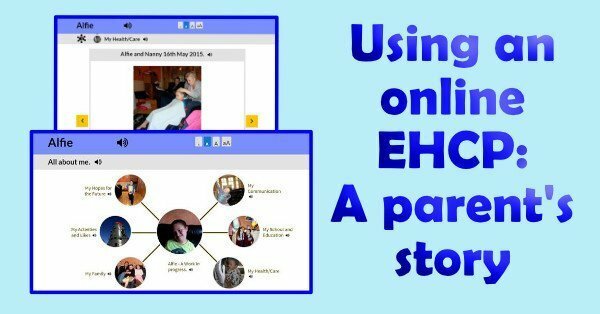 This is a another family's story with a Wiki-based EHCP, written by parent, Claire Watts. Claire's been preparing her son, Alfie, aged 10 and who has Down’s Syndrome, to move from a mainstream primary school into a special secondary school. This hasn't been easy for Claire as she'd hoped he'd go through mainstream education with his twin sister, who is not disabled. But she’s realised that his needs will not be met by mainstream provision, nor will he benefit from it, and there is the further important consideration of allowing his sister to flourish in her own right without always being the ‘little carer’. Alfie has a RIX Wiki and, as Claire explains, this has been valuable to her in really – and honestly - analysing what Alfie needs. I use the Wiki to show my son Alfie; his life as a baby, his history and mine. From the moment I was told that one of the twins was going to have a disability, when the doctors confused the twins and we could have aborted the non-Down’s Syndrome twin. Alfie was born with three holes in his heart, a hole outside his heart and a leaking heart valve. We were told that he would not talk and that he would not walk. We were told that, by puberty, he would be in a vegetative state and would go downhill drastically. We were told that to give us hope was false and no hope was better than false hope. Alfie overcame these health issues and has grown big and strong, stronger than me; so I use his Wiki to show his inner strength, courage and determination. I use it to show his wonderful personality - he is such a funny, charismatic, charming young man. Though he will always say “I boy”, as he doesn’t fully understand it when I call him a pickle or a laddie. Alfie’s Wiki has made me think, and I mean really think, about him. His needs, his aspirations and my dreams for him. This is Alfie as he is and the journey he is making into his adulthood and the rest of his life. He is not a name on someone’s files, he is not a number on someone’s list; he is a real boy. 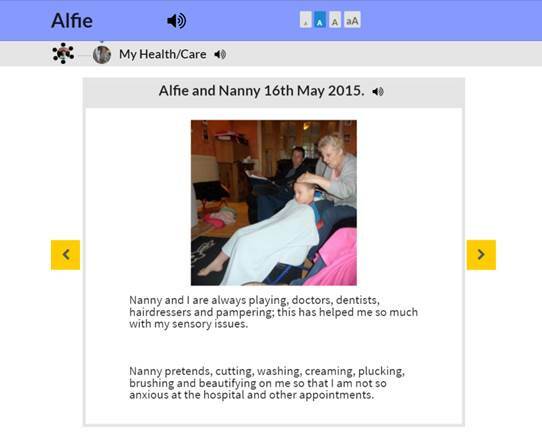 By using photographs and videos of Alfie, doing the things he likes, being included and valued as a member of his community, it makes people realise who he is. It brings him to life, so much more so than a two-dimensional piece of paper, which can be scan-read, forgotten and discarded. As I said Alfie is a twin; Alice, the pink one, is totally amazing as well. She is caring, loving, empathetic and compassionate. I have not had to be overly worried or concerned about her - her development, her cognitive, emotional, physical, behavioural or social needs - as it comes easy for her and to her. She gets invited to parties and sleepovers and understands her homework and what is asked of her, but Alfie’s needs are far more complex and demanding. Alice is a young carer. She goes over and above what ‘normal’ siblings do, she helps and guides him and although he is challenging for her - he pulls her hair and takes her toys – she loves him dearly and they do have a very close relationship. Alfie wouldn’t get the full support he needs, nor would he be able to enjoy all the benefits from mainstream secondary education. In analysing Alfie’s life with the help of the videos and photographs on the Wiki, I have come to realise that a mainstream secondary school is not what he needs. It is going to be hard, considering that he has never been separated from his twin for any great length of time but I know it is the right decision for him, for Alice and for us as a family. Alfie needs to attend a more specialised provision, where he will learn much needed life skills, be helped with his social interactions and behaviours and he will be happy, as he is coping with things he likes doing and at a level that will challenge his development. I have had to view several possible schools for Alfie; it is emotionally and physically draining, poignant and highly sensitive; it is exhausting and scary. No-one meeting Alfie for the first time will have seen him as a baby, a toddler, an infant; no one will have been privy to the captivating images, video recordings or music that matter to him, prior to having his Wiki. It has been so important to me, to be able to show Alfie, the boy. The Wiki is three-dimensional, four-dimensional with music or audio; what better way for someone to understand my son than to actually show him as a real person, his likes - dancing, singing, acting - his love for his holidays in Leysdown, his achievements, his character and his vibrant personality.>Alfie and his ABC. 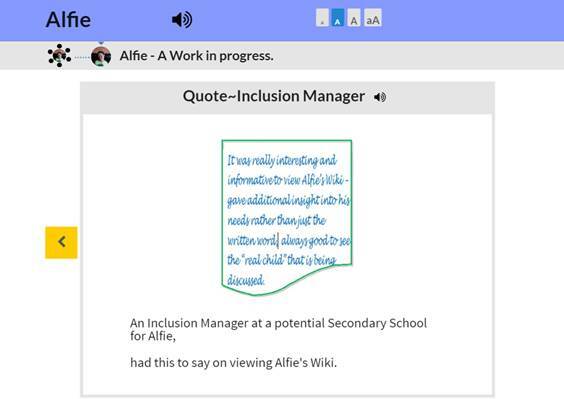 I have had the absolute pleasure of recently being able to share Alfie’s Wiki with potential secondary school settings. His Wiki enables people to get to know him better and learn about him before he even meets them. A school report, Individual Education Plan or a Statement only tells them what his levels are and about his academic targets. A Wiki shares his life in such a way that you will never want to see a written report again. That’s what I want those working with Alfie to see – the “real Alfie” not just a list of his diagnoses and difficulties. So what do I want as a mum for Alfie? What is really important for him? Does Alfie need to know the capital city of France? No, not particularly. But he does need to know how to get the right change in a shop. He needs to know and be able to read and write enough, or express himself, through signing or pointing to a menu in a restaurant, to choose what he wants to eat. He needs to know what bus to get on and where to get off and how to cross a road safely and where and when to cross. He needs a circle of support and so much more time, encouragement, motivation, learning and remembering and then applying what he knows. He needs to be able to use his skills at the right time and in the correct manner and I know he will. I want everybody working with Alfie to have realistic expectations but high aspirations. To understand the challenges and have clear outcomes, in everything that he does. To build on Alfie’s strengths and skills, to not dwell on his weaknesses but inspire him to overcome any obstacle. To have a positive ‘can do’ and ‘will do’ attitude. So, with the right level of encouragement, support by his side, a smile and thumbs up, he not only went on stage to collect his award but he loved it and the cheers, clapping, whistles from the crowd in the audience were THUNDEROUS. The Wiki lets Alfie show that he CAN and WILL. RIX is a non-profit research centre of excellence at the University of East London and we explore and develop new media to transform the lives of people with learning disabilities. Our long history of inclusive research projects enables us to develop a unique approach to person-centred planning (PCP). It means people with learning or communication difficulties can use Web and multimedia authoring tools to communicate their preferences and viewpoints. RIX calls this Multimedia Advocacy. 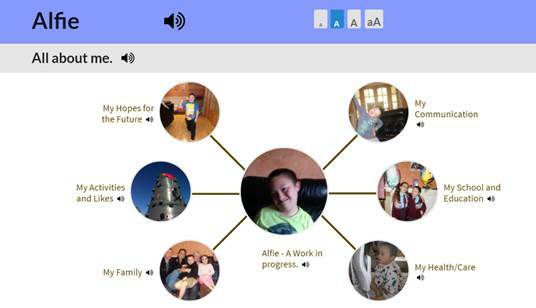 This approach, together with the RIX Wiki tool, helps people with learning disabilities to use pictures, sounds, video and words to share their interests and aspirations and better explain the ways that they like to be supported. Currently, RIX Wikis are available to families through some Local Authorities and Schools, to support them in the EHCP process. In Autumn 2016, we will be launching ‘My Wiki’ for families and individuals, who will be able to obtain a Wiki from RIX Media directly, giving them further ownership and control. If you are interested in registering for an individual RIX Wiki, please contact rixadmin@uel.ac.uk.